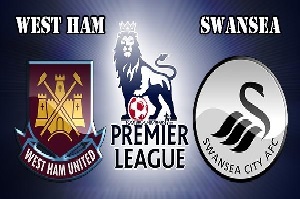 West Ham United will face Swansea in the Premier League on Saturday. West Ham great season continued with 3-0 victory against West Bromwich. The team has two wins in a row and they are 5 points behind City with a game less. So they still have hopes alive to play in the Champions League next season. On the other hand Swansea had a bad season and they probably do not have much motivation left. Also they are terrible guests losing their last 2 games in a raw with 4-0 and 3-0. West Ham is much better team at this moment and they are highly motivated to win. In my opinion the Hammers will win with at least a goal difference.